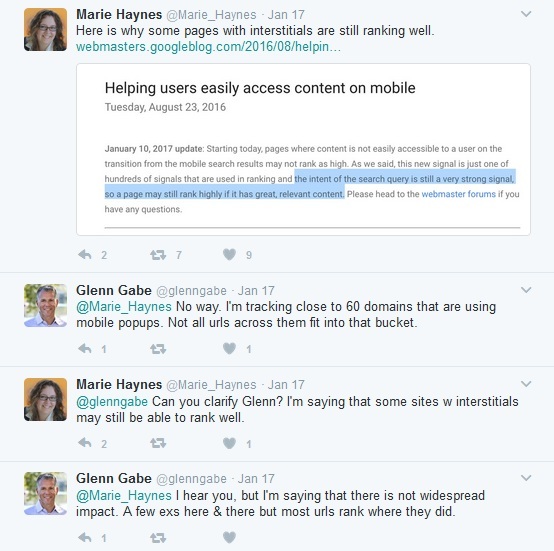 I had written a post on Google's Mobile Interstitial Penalty and important factors you need to know about it. 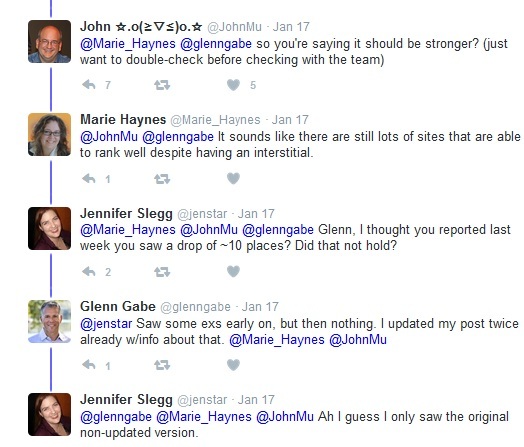 Glenn Gabe, a digital marketing veteran and columnist at Search Engine Land and Search Engine watch; is constantly monitoring the effects of Google's Mobile Interstitial policy roll out. 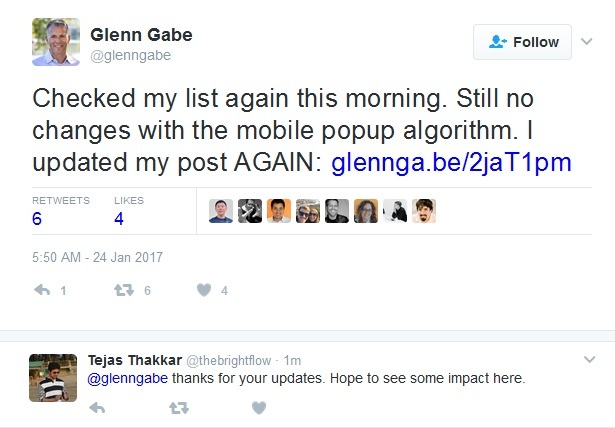 He is taking some great efforts in tracking around 60 websites employing mobile popups and their organic rankings. After almost 15 days since the rollout, he is yet to see a widespread impact. You would love to read his article here. 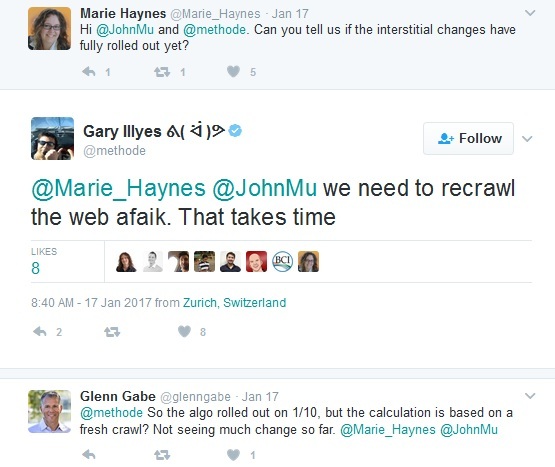 Furthermore, Gary Illyes from Google stated a possibility of recrawl that takes time. Even though the experts have found out that the rollout hasn't had too much of an impact so far, you need to take care of some important factors listed here on this link. And if you are one of those rare and unfortunate people who have seen a ranking demotion due to this policy, you need to get rid of the intrusive interstitals on your mobile pages. Google has to recrawl your affected pages to lift the demotion. 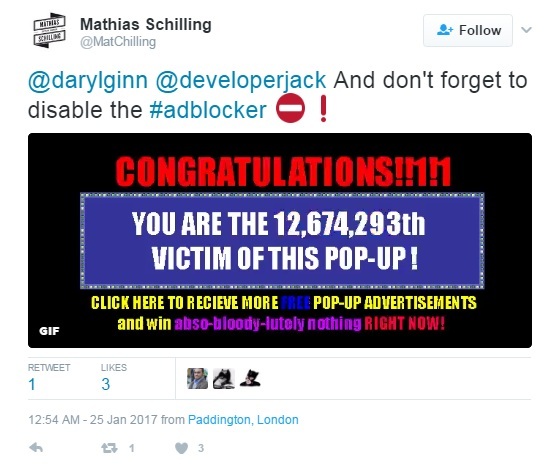 In the recent webmaster office hours, John Mueller confirmed that once your site is demoted due to mobile interstitial policy, the Googlebots will have to recrawl your affected pages for the ranking demotion to be revoked. 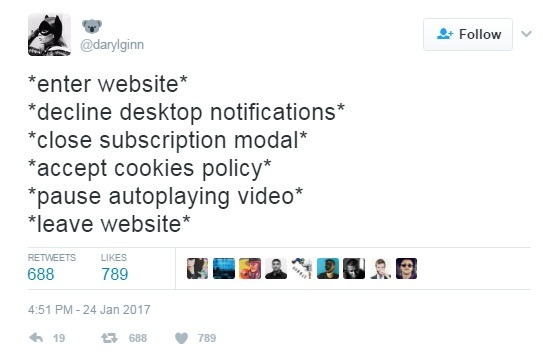 Now that completely depends on how frequently your pages get crawled. Just as an effort to quicken the process, one can use the Fetch and Submit feature of Google Search Console to get the pages recrawled quickly.